Communications degrees are among the most popular degrees that are pursued by undergraduate university students. That has a lot to do with the fact that such degrees prepare you for a wide array of career paths.1 From careers in journalism to advertising to film and music production, the possibilities are seemingly endless. Thanks to their widespread availability, communications degree programs are offered by most two- and four-year colleges and universities. Plus, the vast majority of them offer online programs for busy working adults too. According to U.S. News and World Report, the average cost to earn a bachelor’s degree in communications online is between $7,000 and $22,500 per year; for a four-year program, then, you can expect to pay between $28,000 and $90,000 total.2 Compare that to the typical cost to complete a four-year bachelor’s degree program in communications at a brick-and-mortar school — around $45,000 per year, or roughly $180,000 total3 — and it’s easy to see why pursuing an online degree is more affordable. It’s more flexible too because most programs are asynchronous, which means that students can complete assignments at their own pace and schedule. Depending on where you are in life, having to be present multiple times per week in a lecture hall or classroom may not be doable. One of the best things about pursuing an online communications degree is that you can choose your own learning environment. Attending classes, completing assignments, or studying can all be done from the comfort of home or from any place that has an Internet connection. That means that you can study at the local coffee shop or even work outside on nice days if you’d like. Unlike many degrees, which back you into a corner in terms of career opportunities, communications degrees are wonderfully flexible. You can break into many entry-level positions by earning an associate degree in communications, which typically takes around two years. If you want to pursue a long-term career in many industries, however, you will want to earn a bachelor’s degree in communications, which takes around four years in most cases. Either way, your degree will give you the credentials that you need to be eligible for a wide array of careers. In case you’re still not convinced about the merits of earning an online communications degree, here are some of the top, in-demand careers that you can pursue with one. As the name implies, technical writers are responsible for producing technical copy for a variety of publications. Most of the time, they are charged with essentially translating technical concepts into language that is easier for people to understand. Therefore, technical writers create things like instruction manuals and how-to articles. 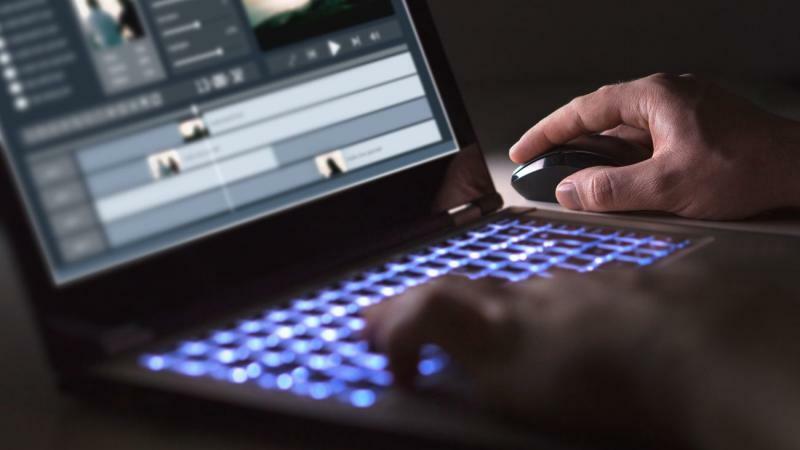 If you dream of breaking into the film industry, earning an online communications degree can help to get your foot in the door as a film editor. In this case, you will want to pursue a Bachelor of Science in communications, or a BS in communications, as opposed to a bachelor of the arts, or BA, in communications. With a BA or BS in communications under your belt, you can start acquiring experience that may eventually help you to land a job as an art director. These professionals oversee the artistic aspects of films, magazines, and other productions. Compared with other careers on this list, that of editor has been waning in popularity over the last few years. Although the field isn’t projected to grow much in the near future, it is expected to hold steady. With a BA or BS in communications, you will be eligible for many editor positions. By earning a Bachelor of Science in communications, you can start pursuing roles as a broadcast or sound engineering technician. This can be a great way to break into the TV, film, or radio industries, and it offers a lot of flexibility in terms of career paths. These professionals set up, maintain, and operate electrical equipment for things like TV and radio shows. In just two or four years, you can complete an online communications degree program and be eligible to pursue a variety of well-paying, in-demand positions in many career fields. The best place to get started is by checking for accredited online communications degree programs that suit your needs. Remember that such programs vary a lot not only in terms of cost but in terms of quality, so it definitely pays to do plenty of research prior to enrolling. With the flexibility of an online communications degree program, you will be on your way to a rewarding new career before you know it.